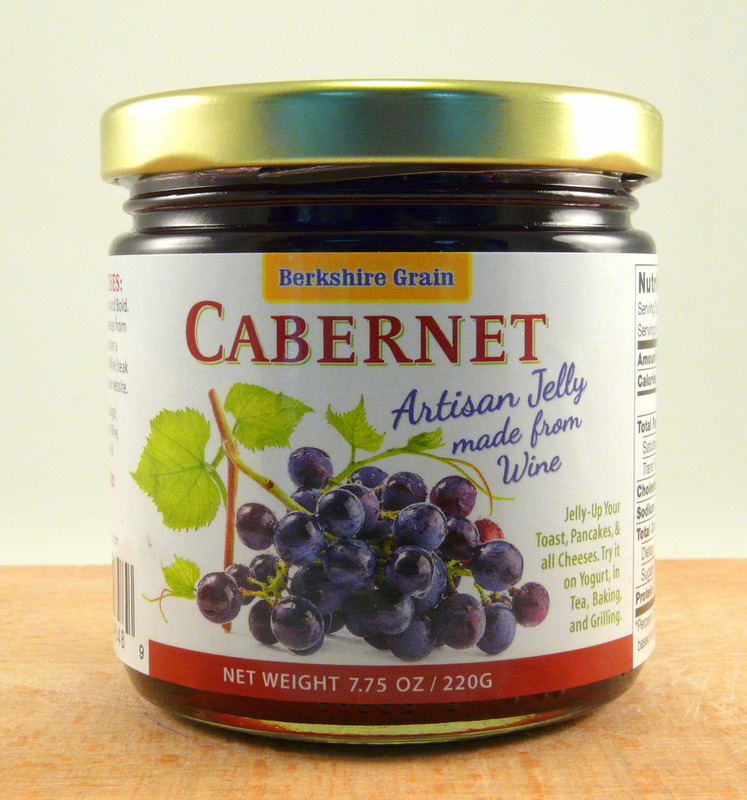 Our Cabernet Wine Jelly offers bold flavors of dark fruit, blackberries, and elderberries. Pairs well with all cheeses from Brie to Bleu. Try spooning over a fresh baked brie, or mix with your favorite steak sauce. Packaged in 7.75 oz glass jars (when the Wine Jelly is done the jar makes a perfect stemless Wine Glass, for picnics and backyard entertaining), Scroll down for Additional Product Info and Purchase Options. ** SOLD IN SETS OF 4 JARS (Mix & Match) -- $7.50 EACH -- FREE SHIPPING! Like the expression - "King of Reds" our Cabernet Sauvignon Wine Jelly is truly the "King of Wine Jellies" The colors of the fruits give off a deep garnet color with aromas of blackberries. Serving Suggestions: this wine jelly was meant to be served with a rich creamy warm brie.....but just as perfect with almost any cheese you can imagine. also don't hesitate to use as a condiment on sandwiches, or right on your dinner table. Ingredients: milled sugar, cabernet sauvignon wine, natural fruit pectin, lemon juice.